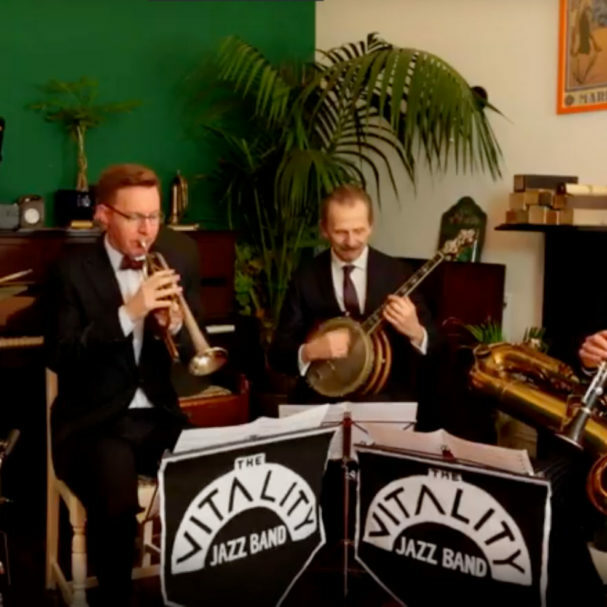 dedicated to performing and recording authentic 1920s small-group jazz. 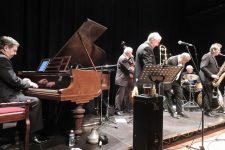 Specialising in the kind of blistering ‘hot stomps’ inspired by the records of the California Ramblers, Jelly Roll Morton’s Red Hot Peppers and many others, the Five include sensational virtuosi from the UK, USA and Australia. Since their formation they have appeared at festivals and toured across Britain and Europe, performed live on BBC Radio Three and recorded an eponymous debut album (2016) which is now available. The band comprise Michael McQuaid (clarinet, alto saxophone & trumpet), David Horniblow (bass saxophone & clarinet), Martin Wheatley, (banjo & guitar), Andrew Oliver (piano) and Nicholas D. Ball (drums & percussion).